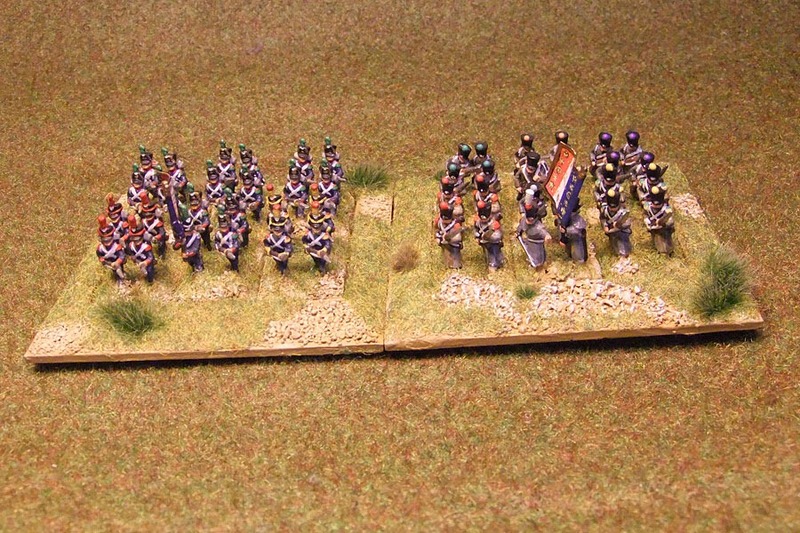 15mm Napoleonics based for Napoleons Battles/Age of Eagles, then 80mm x 80mm sabots. On the sabots these models can be used for Grande Armée, Volley & Bayonet and a Napoleonic Impetus variant I’m working on with Jim Loutitt. (He’s actually doing most of the work I’m playtesting and making the occasional helpful suggestion). 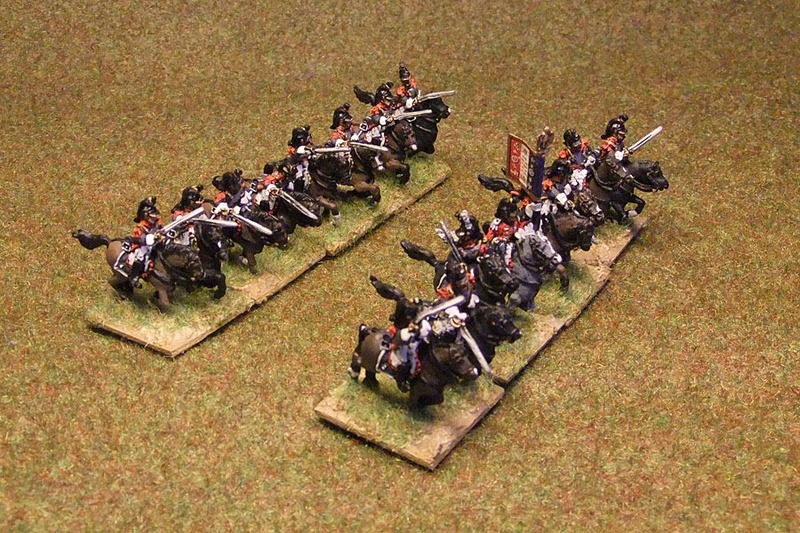 Off the bases they can be used with many other rules including Napoleon’s Battles, Age of Eagles, Black Powder, Lasalle and General de Brigade. 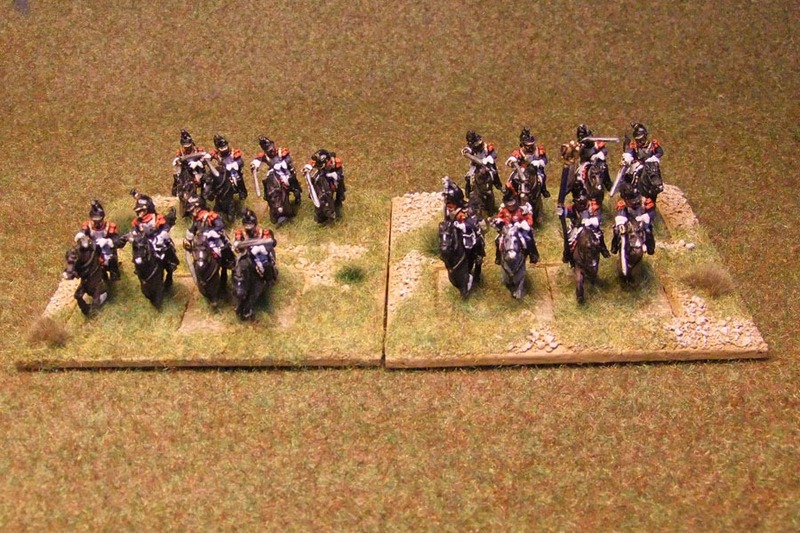 I have now made about seventy of these sabot bases for my Russian and Grande Armée forces – enough to fight battles with three or four Corps a side using rules where a base equates to a brigade. I’m hopeful all the work I’ve done on this will give me many games from figures that have been languishing on a shelf for almost twenty years – the signs are good so far and I’ve played two games with them in the past two weeks.